As per the unit price, 7up Revive Hydrotonic Drink is the cheapest brand and Wild Vitamin Drink is the costliest. Marking Has labelling as required by the rules and regulations. All the tested brands were packed in plastic bottles. The importance of marking cannot be overemphasised as it gives information about the characteristics of the product and/or claims of the manufacturer, all of which influence consumers in making a choice. The font size of Coffee Day Vitamin-Enriched Water label was very small – the black ink on red background made it difficult to read the letters. Vitamins are of two types: fat-soluble – A, D, E, K; and water-soluble – B and C. Fortified water/drink contains mainly water-soluble vitamins. It helps bring about a significant decrease in heart disease. It helps lower the level of bad (LDL) cholesterol. It assists in the energy production of cells. It is beneficial for a healthy nervous system and a well functioning digestive system. It is associated with a reduction in the risk of Alzheimer’s disease, cataracts, osteoarthritis, and Type 1 diabetes. As per Dietary Guidelines for Indians, 2011, by National Institute of Nutrition, Hyderabad, the daily requirement of vitamin B3 is 18 mg for a man (moderate work) and 14 mg for a woman (moderate work). So, a higher amount of vitamin B3 is better for consumers. Vitamin B3 content in three brands – O’cean Fruit Water, Wild Vitamin Drink and Coffee Day Vitamin-Enriched Water – was found far less than their label claims. In 7up, vitamin B3 could not be detected though it claimed 1.20 mg in the label. Highest amount of vitamin B3 was found in O’cean Fruit Water (0.590 mg/100 ml). Vitamin B6, along with the other B vitamins, helps the body turn food into energy. On its own, vitamin B6 has many other uses that are important to maintaining a healthy body and developing a healthy brain. As per Dietary Guidelines for Indians, 2011, by National Institute of Nutrition, the daily requirement of vitamin B6 for both man and woman is 2 mg. So, higher is better for consumers. Vitamin B6 content in Coffee Day Vitamin-Enriched Water, 7up Revive Hydrotonic Drink and Wild Vitamin Drink was found to be higher than they claimed in their label. 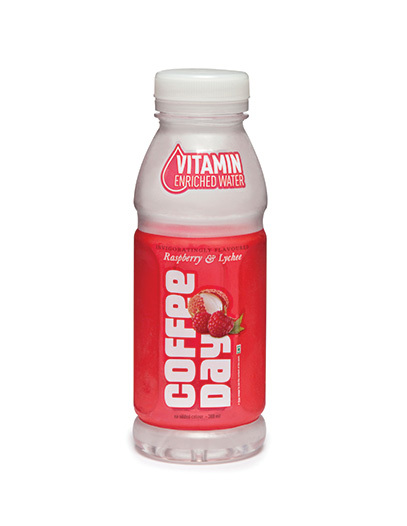 Highest vitamin B6 was found in Coffee Day VitaminEnriched Water (0.322 mg/100 ml). O’cean Fruit Water did not claim to have vitamin B6 and hence was not tested. Vitamin B12 plays several important roles throughout our body but we require only a tiny amount of it each day. We need B12 to make red blood cells, to support normal brain function, and to make new DNA and RNA, the genetic coding material inside cells. As per Dietary Guidelines for Indians, 2011, by National Institute of Nutrition, the daily requirement of vitamin B12 for both man and woman is 1 mg. So, higher is better for consumers. Brands’ claims were less than the lab’s detection capability, which was 0.250 mg/ml (or 2,500 mcg/100 ml). Hence, the results have been reported as ‘negligible’. O’cean Fruit Water did not claim to have vitamin B12 and hence was not tested. Vitamin C is widely considered to be an effective cure for the common cold. Other benefits of vitamin C may include protection against immune system deficiencies, cardiovascular disease, prenatal health problems, eye disease, and even skin wrinkling. Vitamin C is sensitive to heat and light and, therefore, products containing vitamin C should be stored in a cool and dark place. As per Dietary Guidelines for Indians, 2011, by National Institute of Nutrition, the daily requirement of vitamin C for both man and woman is 40 mg. So, higher is better for consumers. Two brands – 7up Revive Hydrotonic Drink and O’cean Fruit Water – have not claimed vitamin C in their products and so testing was not done. Vitamin C content in the other two brands was found very less against their label claim. Our body needs calcium to build and maintain strong bones. Our heart, muscles and nerves also need calcium to function properly. As per Dietary Guidelines for Indians, 2011, by National Institute of Nutrition, the daily requirement of calcium for both man and woman is 600 mg.
To Recieve updates and possible rewards for Coffee Day Vitamin-Enriched Water please sign in. To Recieve updates and possible rewards for Fortified Water please sign in.